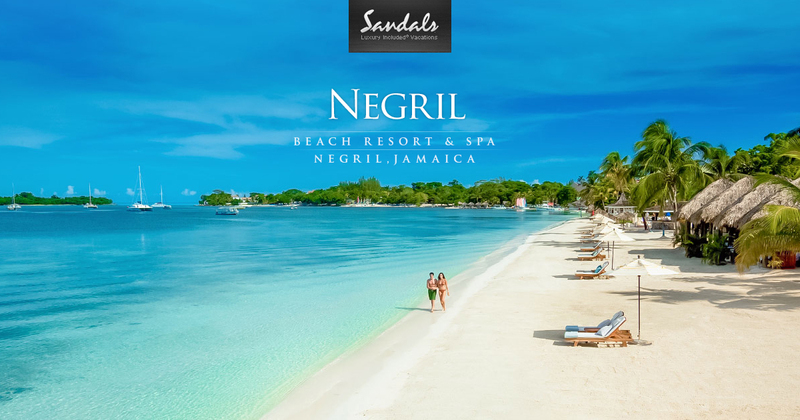 Spanning Negril's famed Seven-Mile Beach, Sandals' Negril vacations conjure up tropical vibrations with a casual, understated elegance. Stroll through walkways dotted with swaying palms and sea breezes, while listening to the hypnotic sound of waves. Experience romantic moments created by the most amazing sunsets at the Caribbean's ultimate beach resort. Located on pristine Dover Beach where the Caribbean meets the Atlantic and endless sunshine is accompanied by gentle ocean breezes, Sandals Barbados of invites you to surrender to the calypso rhythms of paradise. 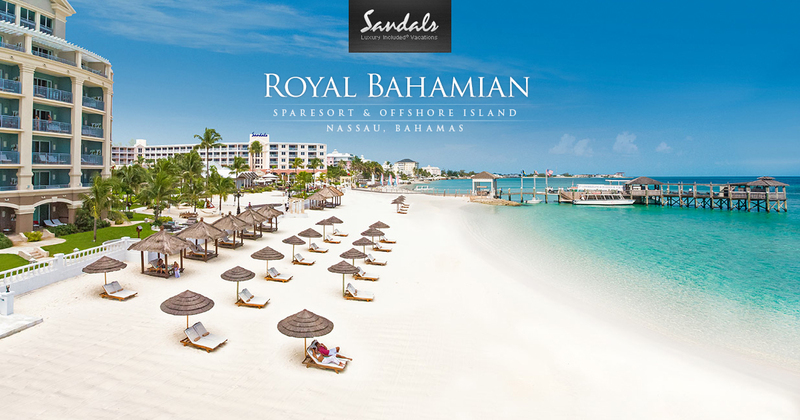 Sandals Barbados provides an idyllic refuge for you to recharge and reconnect with the one you love. Get lost in the tropical gardens and relax to the sounds of nature�where every enchanting day and magical night encourages you to live life well. What was already picture perfect has been transformed into "The Most Alluring Destination in the Caribbean". 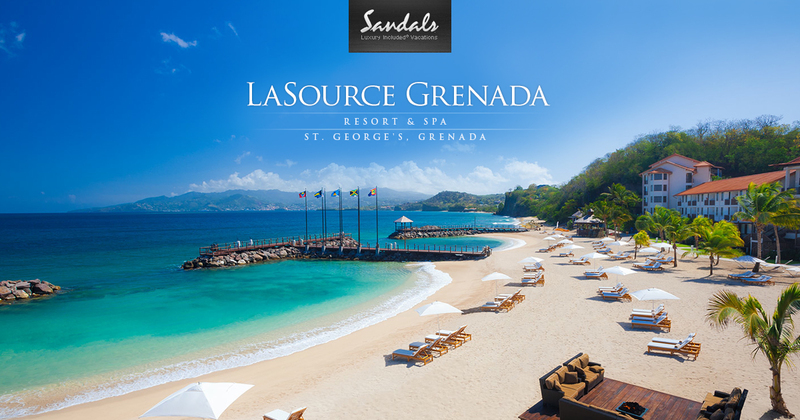 Sandals La Source Grenada Resort & Spa is an exotic, unspoiled hideaway that offers a romantic, authentic Caribbean experience while providing the Luxury Included� amenities and exceptional service that have come to be associated with the Sandals Resorts experience. 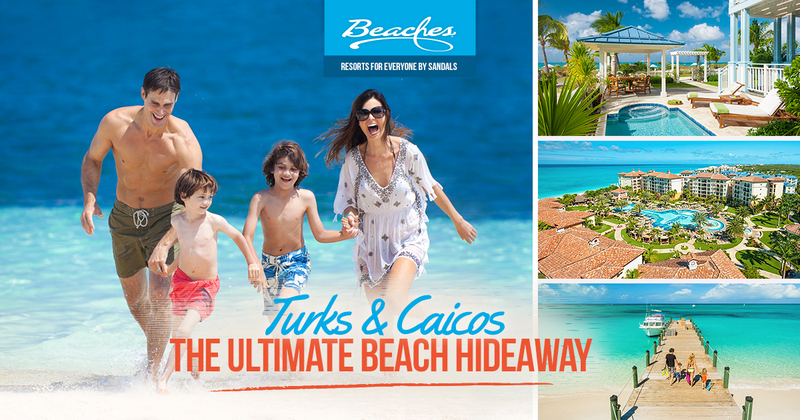 ​Beaches Turks & Caicos is a multi-faceted fantasy world, where pastel pink bungalows are nestled in tropical gardens resplendent with graceful palms. Here, there are almost enough pools for each day of the week, and the last day is reserved for the largest pool of all, the clear turquoise sea bordered by a 12-mile stretch of beach. 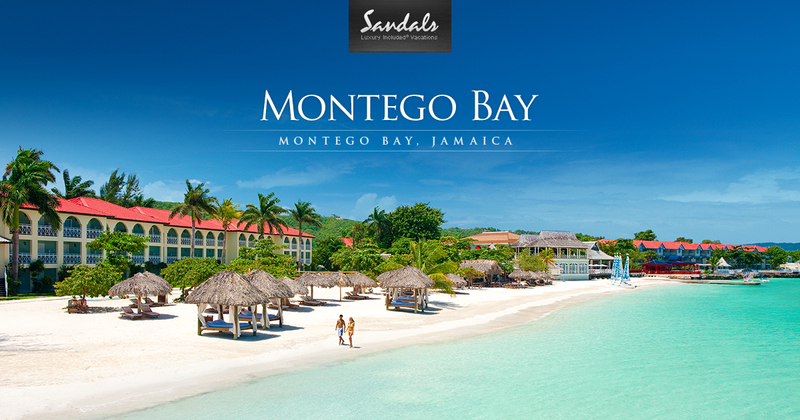 Located in Montego Bay, Sandals Carlyle is located just 10 minutes away from Sangster International Airport on the east end of the famous Montego Bay, in close proximity to downtown shopping, restaurants, bars and clubs. 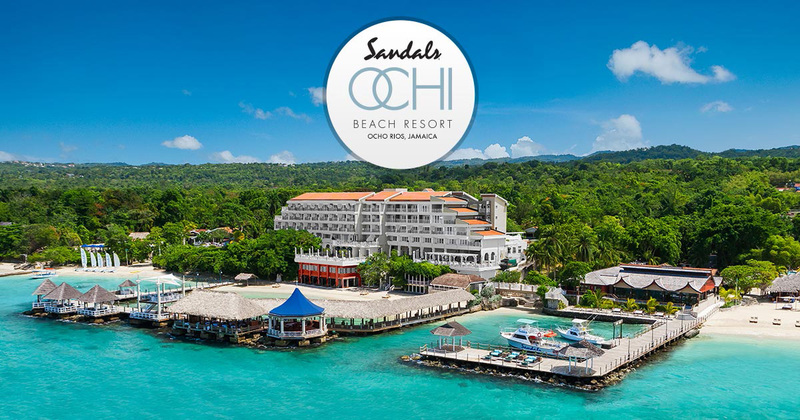 Sandals Carlyle is small in size yet big on charm and large in value while offering a romantic intimate atmosphere with personalized service. Complimentary shuttle bus services to Sandals Royal Caribbean and Sandals Montego Bay. 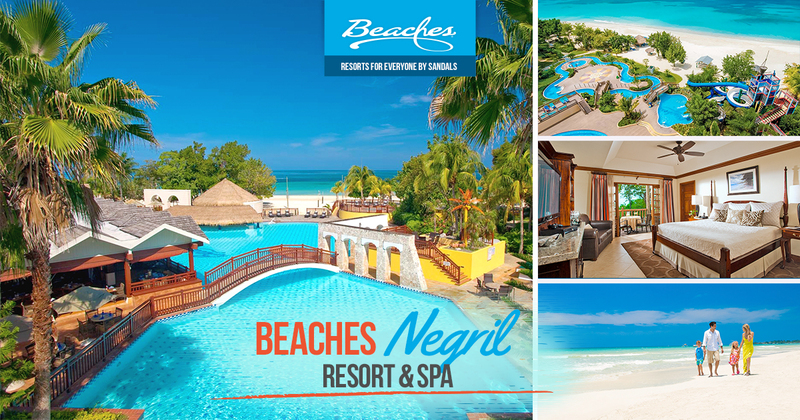 ​Twenty lush, jasmine-scented acres of set on the most prime stretch of Negril's world renowned, seven-mile beach, this charmed place immediately envelops you in natural splendor. Add in first-class amenities, gourmet dining and an array of excellent activities and you'll soon realize that you've discovered paradise on earth. A luxurious all inclusive resort that delivers leisure in an oasis of old world charm and understated elegance. This elegantly appointed resort looks out upon the crystal clear turquoise blue water of the Bahamas. A feeling of timeless elegance adorns the stately entrance and colorful bougainvillea that line the cobblestone driveway. In 1946, the original resort the Balmoral Club was created to be the playground for many of the Royal friends of the then Governor of The Bahamas, the Duke of Windsor. The architecture portrays an elaborate sophistication, Roman columns and a large 25-foot tall statuary guard the entrance to the porte-cochere. ​An upbeat resort on Jamaica's best Private Beach. There is nothing like a true orginal. Which is why everyone falls in love with the very first Sandals Resort. Sandals Montego Bay is conveniently located minutes from airport, this beach retreat is set along Jamaica's largest private white-sand beach. You'll find a maze of manicured gardens at this upscale and upbeat resort and so much more. Bayside Restaurant- Fine International dining indoors or outdoors. ​Discover a sprawling paradise where the foliage is so rich and luscious, with a veritable rainbow of flowering trees and plants, that it's easy to escape the cares of the outside world. 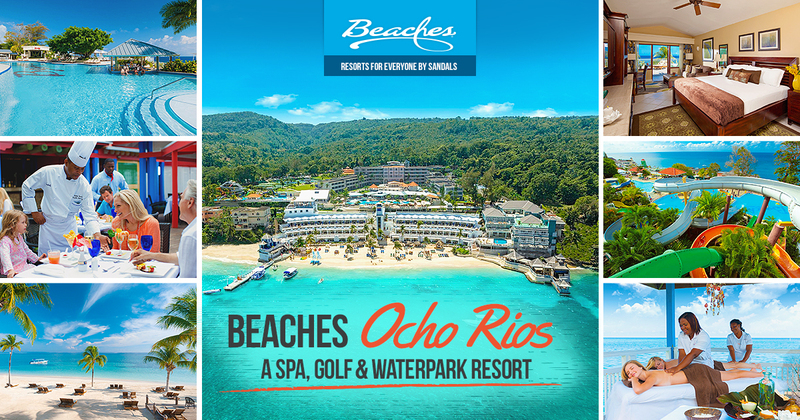 From a tranquil mountaintop to the white sand beach to the fairways of the championship golf course, this all-inclusive Ocho Rios resort and spa is surrounded by the incredible natural beauty of Jamaica. 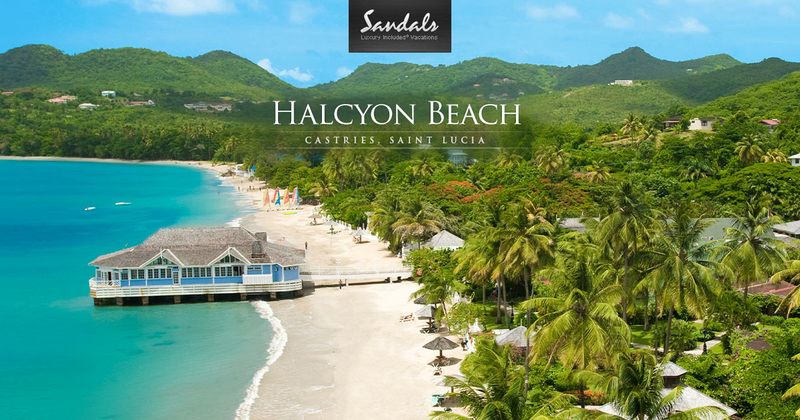 ​Sandals Halcyon is the quintessential beach resort set on a palette of lush gardens bordering the tranquil Caribbean Sea. By design, this resort is built naturally into the environment with no building higher than the highest palm. Enjoy Classic Caribbean architecture and quaint, charming ginger breaded cottages, creatively designed to meld into the luxuriant surrounding landscape, during your ideal St. Lucia vacation. 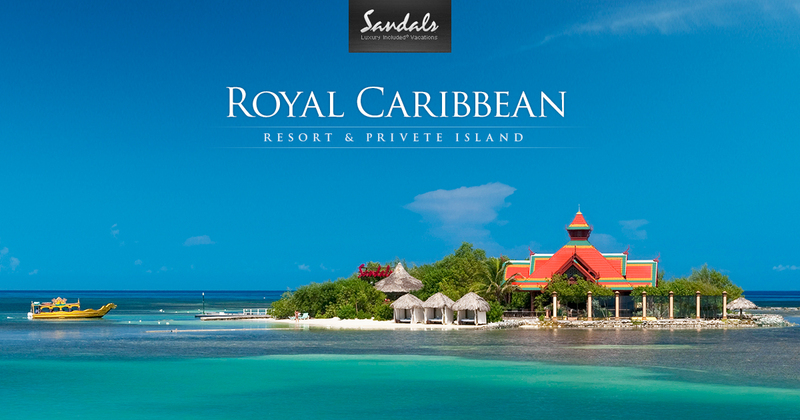 As Jamaica's most alluring retreat, Sandals Royal Caribbean takes you to opposite sides of the world from its regal British Manor and mannerisms, to the mysterious Orient on a private offshore island just minutes from the main resort. Set along a pristine ribbon of beach this all-inclusive Montego Bay resort's elegant British accent begins with a proper arrival through a grand porte cochere to a noble Georgian-style Great House surrounded by tropical gardens. This is where the highbrow side of you will enjoy continental breakfast in bed and afternoon tea. 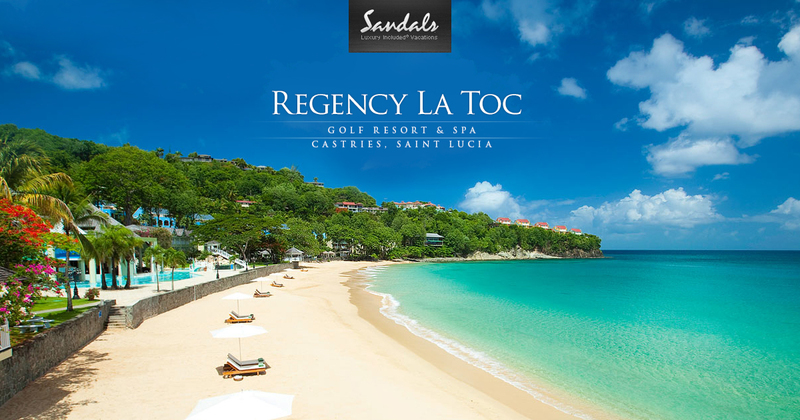 ​A Glamorous St. Lucia Golf Resort where stately palms that grace the mile-long entrance into the legendary La Toc Estate and golf resort are the awe-inspiring prelude to your St. Lucia vacation at the Caribbean's Most Glamorous of St. Lucia Resorts, Sandals Regency La Toc. Recognized as the most sparkling jewel in the islands, the "Emerald of the Caribbean" glitters invitingly along the half-mile crescent shaped beach, cradling exotic coral bluffs, lush hillsides, and rolling fairways. ​Discover old Jamaica on the lush & untouched South Coast, the newest destination area within a 500-acre wilderness preserve in Jamaica. 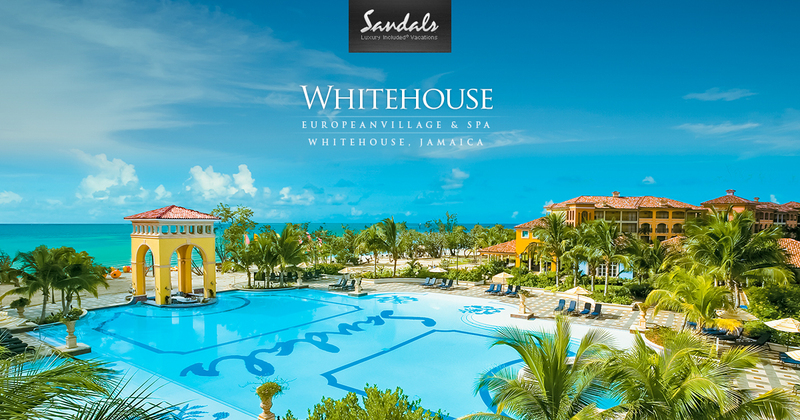 Sandals Whitehouse is a European-style Beach Resort and Spa, featuring three authentic architecturally designed villages: Italian, Dutch and French. ​All Butler Suites. All Oceanfront Suites.This intimate resort comprised of 74 ocean view suites is a one-of-a kind boutique property perched majestically atop a bluff that overlooks two private white sand beaches. 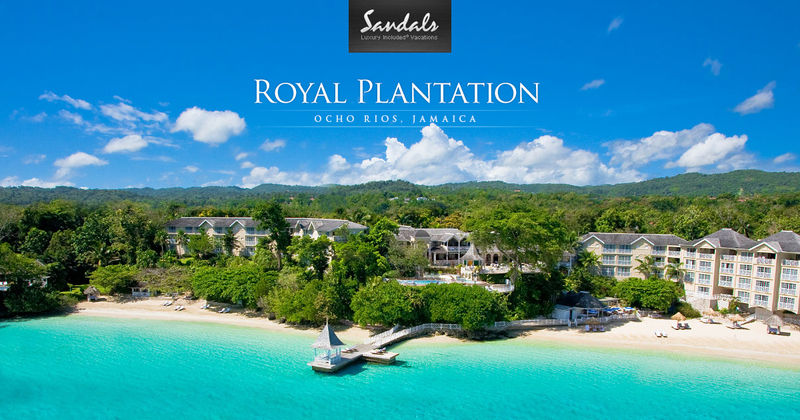 The luxurious Sandals Royal Plantation experience affords guests a magnificent panorama of the Ocho Rios Riviera, lavish suites, and unparalleled indulgence with butlers ensuring a most tranquil and personalized getaway. 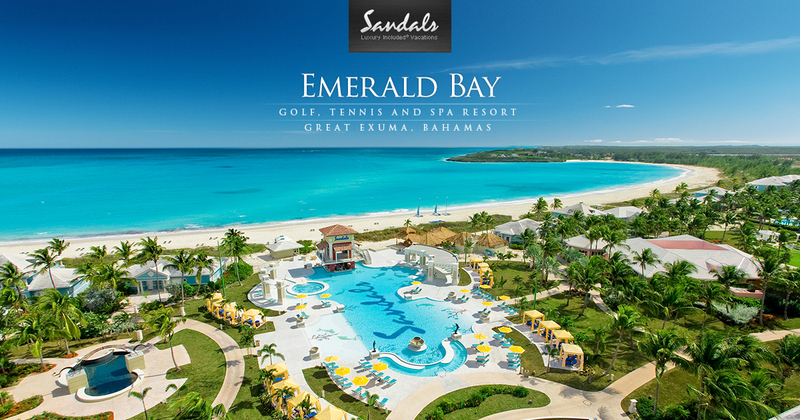 ​Deep within the idyllic waters of the Exuma, Sandals Emerald Bay brings unprecedented luxury to the easy-going rhythms of the Bahamian Out Islands. This privileged enclave is designed to ensure you will feel as if you are the only ones there, where service reigns supreme and Bahamian-style architecture of elegant villas and suites harmonize with nature. ​Searching for the ultimate family vacation? Look no further than Beaches Boscobel. A vast selection of features and activities for kids has youthful spirits soaring. And while the kids are at play, so are you! From championship-level golf and a whole slew of top-of-the-line land and watersports to relaxing moments spent on the magnificent beach, you'll soon agree that this spot is paradise for children of all ages. 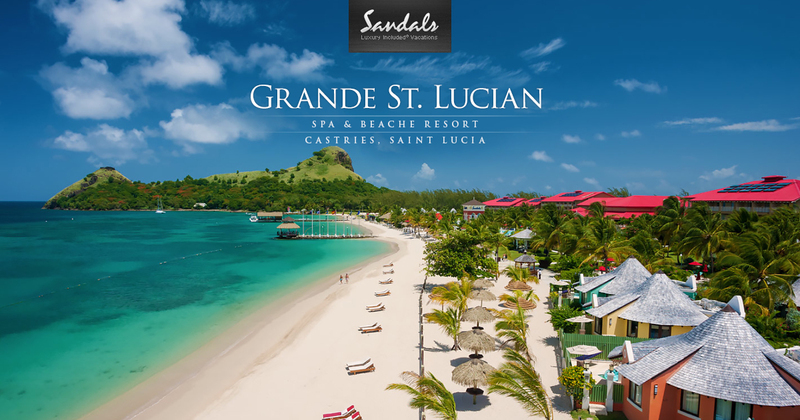 ​The only all inclusive St. Lucia resort cradled on both sides by the Caribbean Sea, Sandals Grande St. Lucian's sheltered mile-long beachfront is home to the calmest waters in all of St. Lucia. Loyal guests often describe this Sandals gem as the "closest vacation to a picture postcard" with its awe-inspiring panoramic views of historic Ft. Rodney and volcanic mountains rising from azure waters. 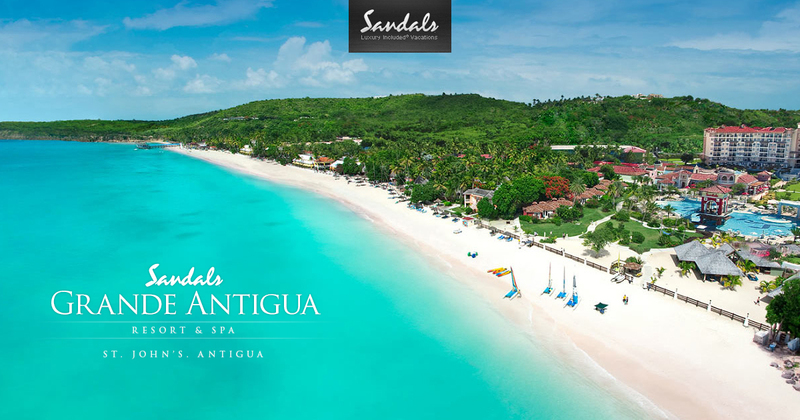 ​Voted "World's Leading Honeymoon Resort" 3 years in a row, Sandals Grande Antigua Resort & Spa beckons with two extraordinary Antigua all-inclusive vacations in one on the country's best and most famous beach, Dickenson Bay. Cooling trade winds soothe the soul as you immerse yourself in a seaside garden oasis graced by majestic palms at the authentic Caribbean Grove.